Prices are per person Adults, Children 6-12 are half price, under 6 are free. 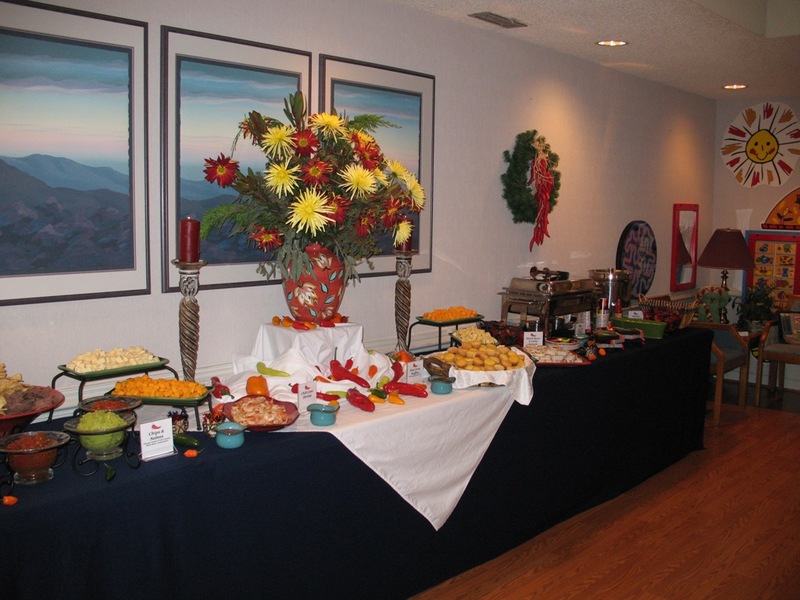 Full service catering for groups under 50 will be charged a $200.00 set up fee. Sides to choose from: Baked Beans, Green Beans, Buttered Corn, Potato Salad, Cole Slaw, Fruit Salad, Macaroni Salad, Macaroni & Cheese, Caesar Salad. Above items are “standard”. Feel free to ask about “custom” items such as Smoked Prime Rib, Smoked Chicken Cacciatore, Whole Fillet Mignon, Seasoned/Smoked Pork Loin with fruit chutney, Turkey Dinners, and much more. We strive to meet your needs and create a stress free event. 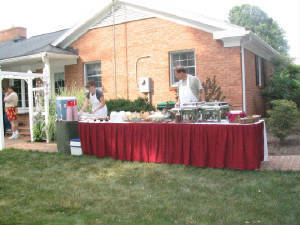 Full service prices include setting up and serving the food at the buffet tables. Supply, set up of tables and chairs, and decoration are not included in the above prices. It is recommended that a “very close” approximation of people attending be provided and a “lump sum” price will be given to you. "Drop & Go" dinners are a great way to get the wonderful food that Gary's Barbeque has to offer at a lesser cost than "full service" catering. 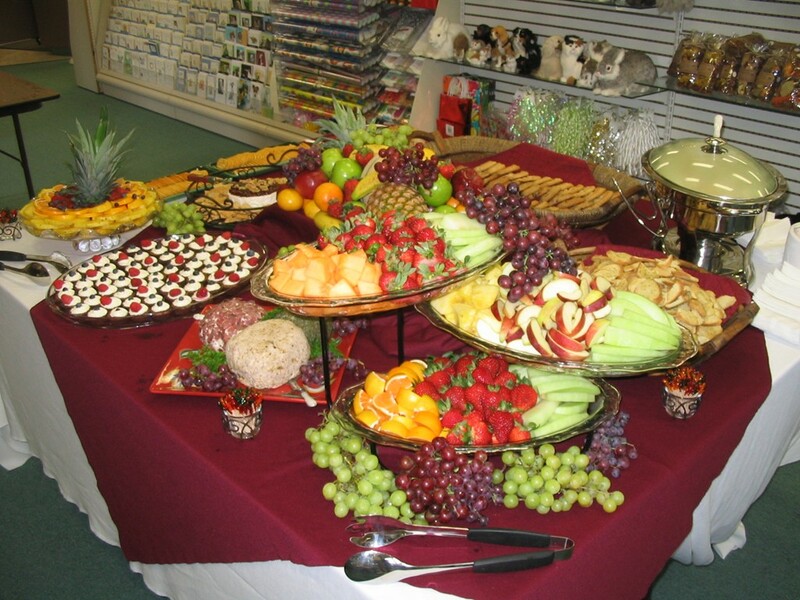 You provide your own drinks, plates, utensils and the food is dropped off at your event hot and ready to serve and eat. A great alternative for groups of 30-50 people. Call for pricing. We strive to be client friendly. 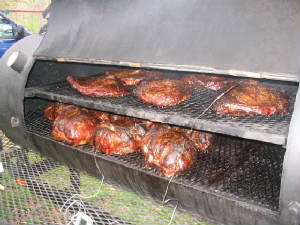 If you wish to provide your own sides and just want us to provide the meat, we can do that also. Custom menus are always an option. All you have to do is ask. If you don't see it on the list, doesn't mean we can't make it happen for you. 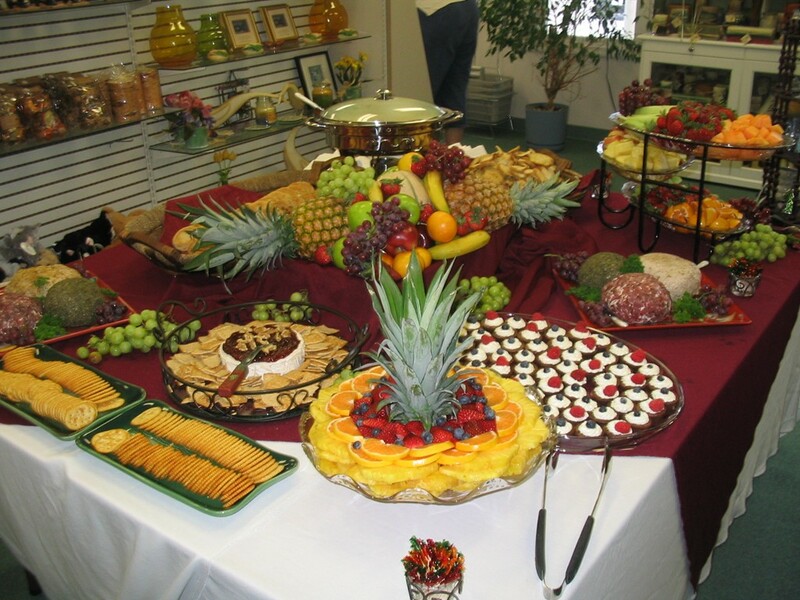 We will try to accomodate anything you might have in mind from Appetizers to Desserts. Just let us know what YOU want.. afterall.. this is YOUR event. Gary's Barbeque offers more than just Barbeque. We will customize your event to suit your needs. 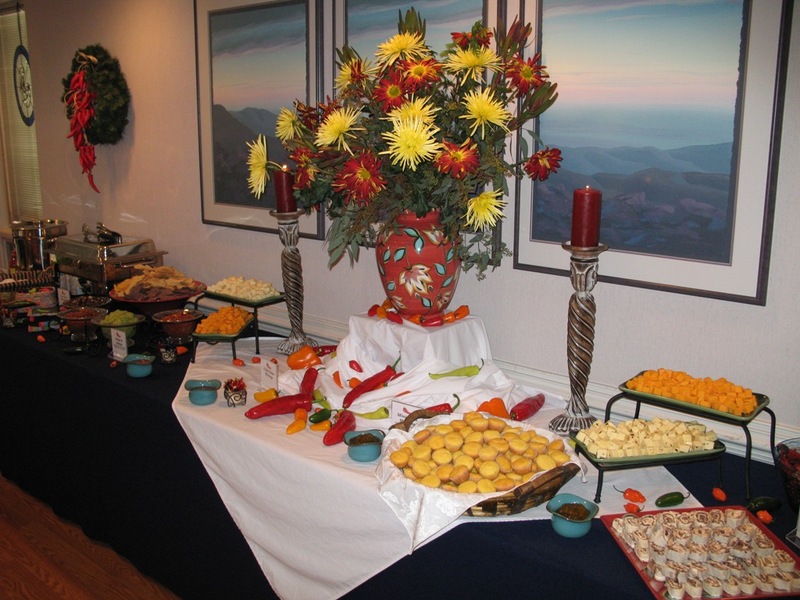 Pictured below are some examples of two businesses that wanted appetizers for an Open House event. Decoration of the food tables, including centerpieces, were all done by members of Gary's Barbeque.